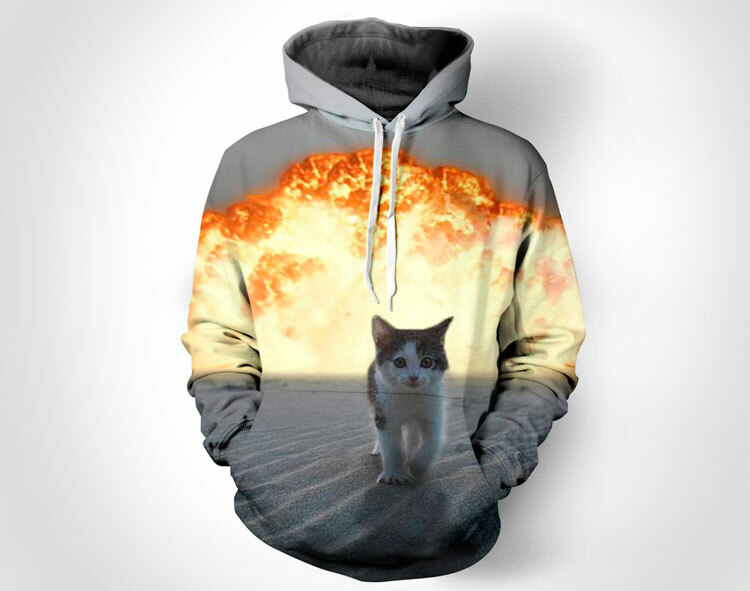 It's a well known fact that bad-asses don't turn around to look at explosions happening behind them as they walk away from it, well the same can be said for cats. 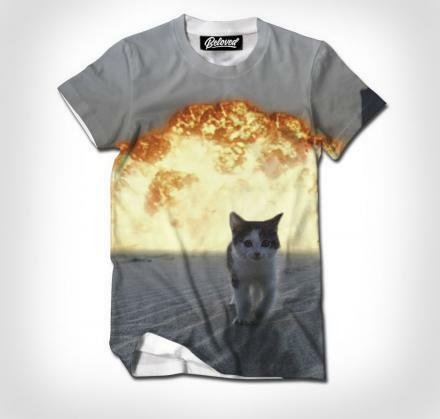 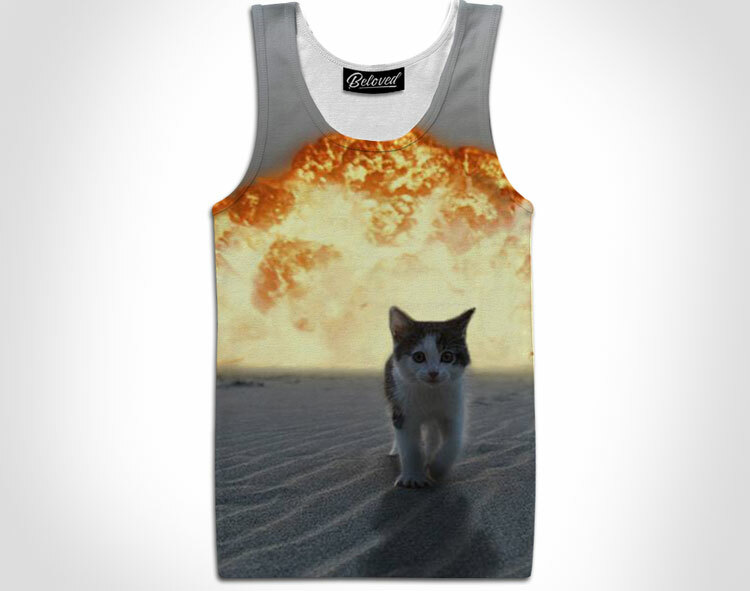 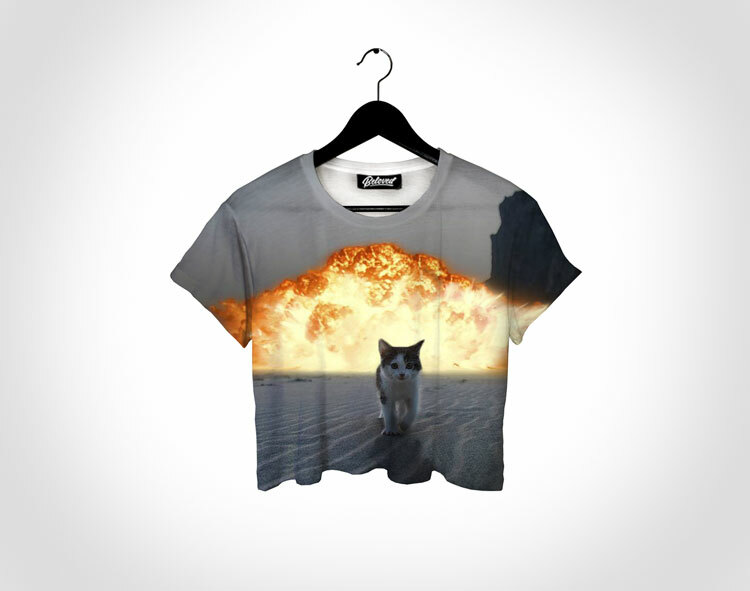 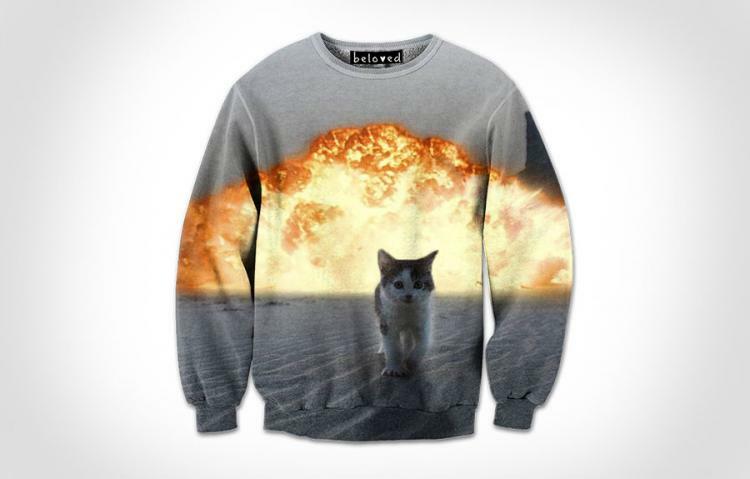 The 'Catsplosion' t-shirt depicts a rather guilty looking feline walking away from an explosion that he or she may or may not have caused. 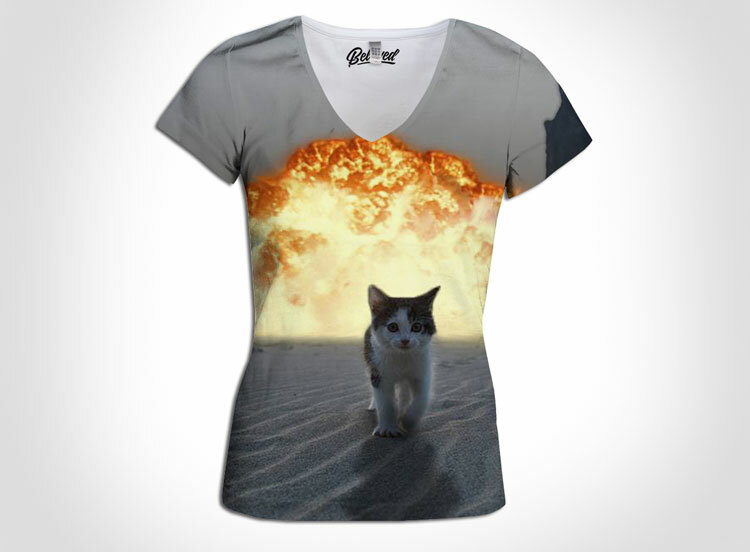 Perfect for cat or explosion lovers of all kinds, the cat explosion graphic covers the entire front side of the t-shirt for maximum awesomeness. 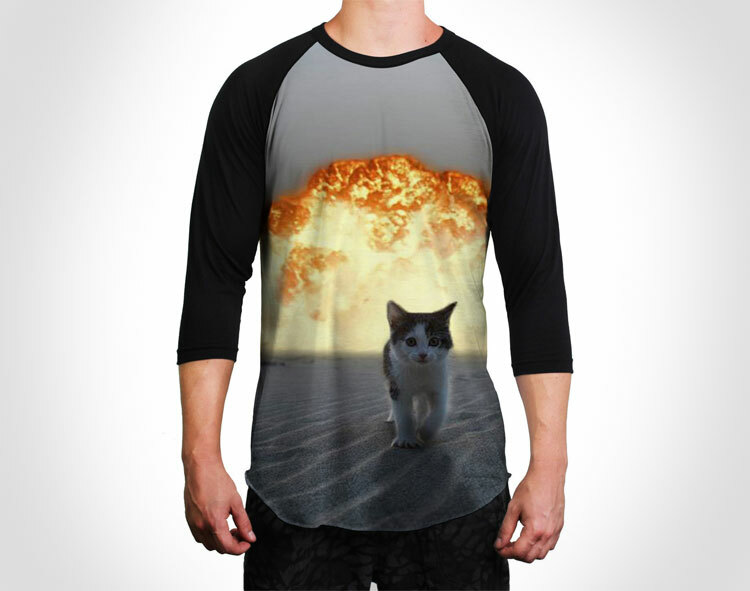 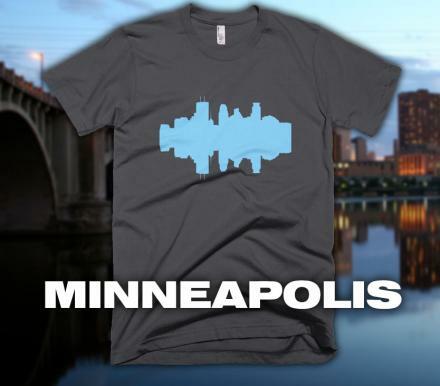 The Catsplosion t-shirt is made in the USA out of 100% polyester, comes in sizes ranging from small all the way up to 3XL, and even comes in other forms such as a sweatshirt, hoodie, crop tee, v-neck, or tank tops, which you can check out here.